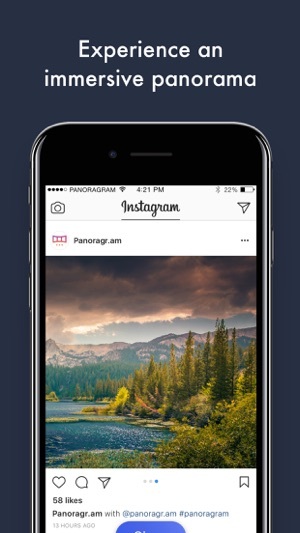 Create stunning Instagram-ready panoramas in a breeze with Panoragram. 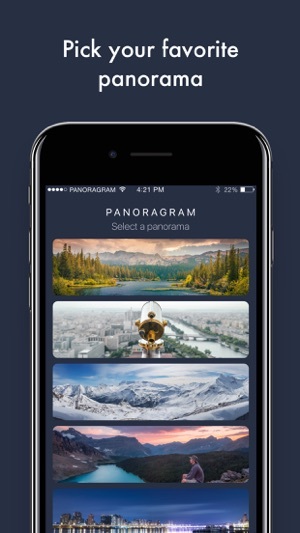 Panoragram splits any panoramic photo into up to 10 squares to be posted as a multi-photo Instagram album. 3. 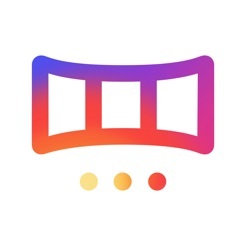 Share it on your Instagram account! 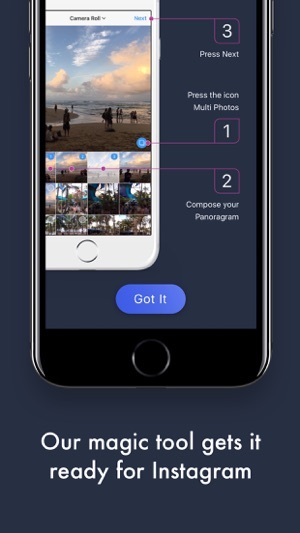 Your Panoragram photos are saved to your camera roll, and we retain the quality of your panoramas while keeping the original file intact. 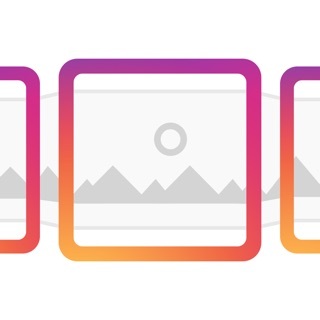 To post as a multi-photo post on Instagram, just select the pictures and upload. 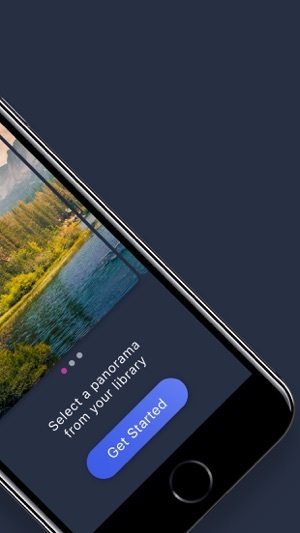 Your followers will be able to swipe through your panorama using Instagram's carousel. Who needs a scenic video when you can post a Panoragram? 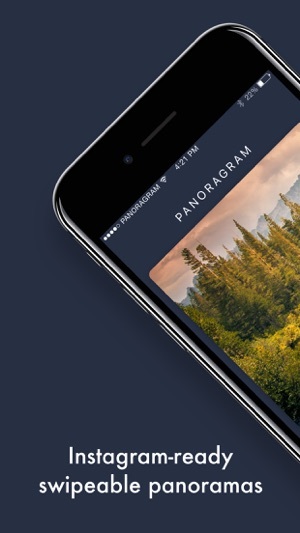 Last step: add the #panoragram hashtag and tag @panoragr.am (don't forget the dot) in your next Panoragram! App does what it advertises, except if you add a photo, remove logo by watching ad, then decide to load a different picture. The remove logo function fails on the second try. And now I can’t get it to work, even after restarting, re-downloading, you name it. © 2017 Duck Dev. S.A.